You may have heard the rather astonishing fact that last weekend’s earthquake in Chile actually shifted the earth’s axis slightly- and literally shortened the Earth’s day by a small amount. Here’s the lowdown. The shift in the axis due to the seismic event in Chile was approximately three inches. 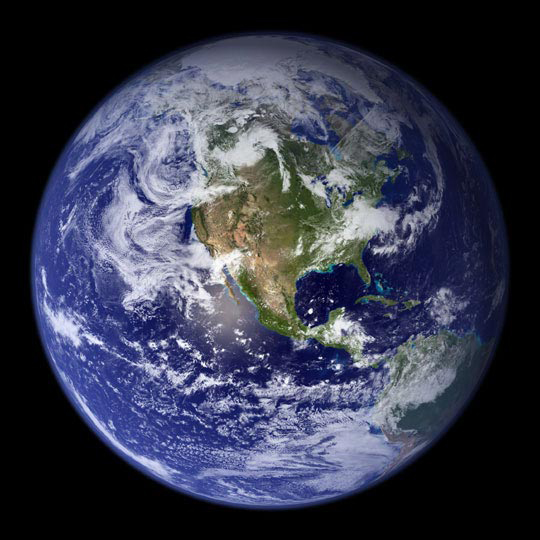 The change in the rotation of the planet effectively shortened the Earth day by 1.26 microseconds, slightly more than a millionth of a second. There’s no seismic or other event we know of that would lengthen the day, so we’ve pretty much lost that amount of day for good. The guy who made these calculations is a fellow by the name of Richard Gross, a research scientist at NASA’s Jet Propulsion Laboratory. The axis he’s referring to is called the “figure axis,” not quite the North-South axis we usually think of, but close enough- they’re only offset by about 33 feet. There was an even larger earthquake in 2004 in Sumatra that registered a 9.1, but the Chilean quake, though weaker, had a bigger effect on the axis because the Sumatran quake was nearer the equator while Chile’s was in the planet’s mid-latitudes, a location that offers a greater disruption of the axis, according to NASA. The fault that caused the Chilean quake also dips into the planet at a slightly steeper angle than the Sumatran fault and that also affected the Earth’s axis more. For some reason my feeble civilian mind cannot understand, the Sumatran quake actually shortened the Earth day by 6.8 microseconds, five and a half times more than the Chilean quake, even though the trembler in Chile caused a greater movement of the axis. What I do know is that over six years, between these two quakes, the planet’s axis has shifted half a foot and our once 24-hour day is now 7.26 microseconds shorter. This is not a quiet little planet.